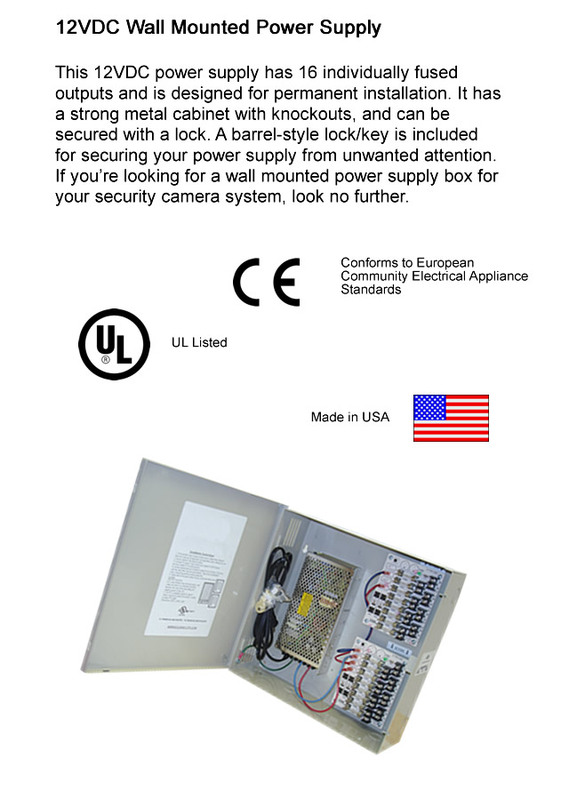 This UL listed wall mount power supply is housed in a metal cabinet. It has sixteen (16) individually fused outputs and a status LED. The metal cabinet can be locked and has marked knockouts for customization. This 16-channel 12VDC power supply plugs into a standard North American 110/120VAC wall outlet. Maximum current draw is 8 amps, measured as a sum of all 16 channels. User fine tuning available. If your location experiences power failures or is prone to interruptions in the power grid, take a look at our battery backup model of this power supply. The power output profile is the same during normal operation, but we've added an internal battery and maintenance charging circuits so you can operate your equipment in the event of a power failure. Note that since it is impossible for us to know the total current draw of your equipment, we can't list the number of hours of power this supply can provide in the event of a failure - all locations and survillance networks are different. 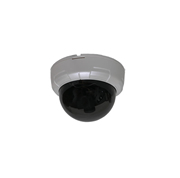 If your surveillance network draws a lot of current then consider model ECL-PS16DC12, a high current version of the ECL-PS16DC. The ECL-PS16DCH can supply up to 12 amps. For critical applications ask for TCL-PS16DCB, the same 12VDC power supply with a built-in battery backup system. For high power situations consider the TCL-PS16DC12, a high current model capable of delivering 12 amps (total).